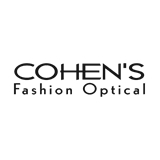 Cohen Optical - Bay Ridge (Brooklyn) - Book Appointment Online! I was given a very thorough exam, including a sonogram of my eyeballs, and tests for peripheral vision. The office was very bright and clean, and the staff was friendly and helpful.